It’s finally Spring, and that means it’s time for another visit to California's Great America! 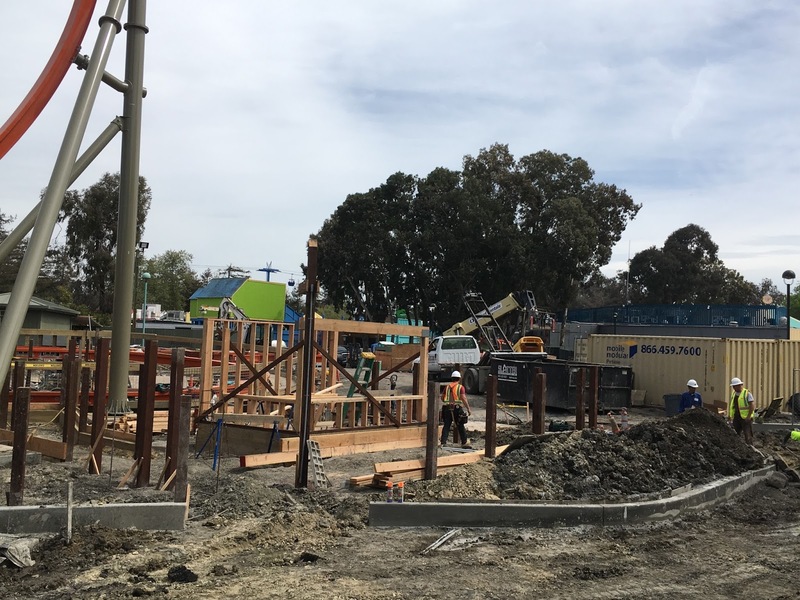 Today we head over to check out the new Backyard Bands and BBQ special event, along with construction updates from Railblazer, the four new 2018 season dining locations, and more! The park is currently hosting a special “Backyard Bands and BBQ” event for this and next weekend to celebrate the season! Along with live music from multiple local bands, oversized lawn games are scattered around the plaza area for guests to play with near The Demon and Railblazer. 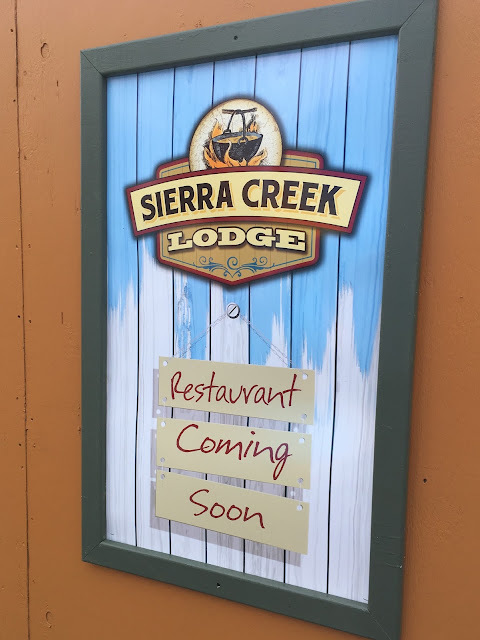 Craft beer and grilled BBQ are being served to hungry park guests as well, which helps compliment the whole atmosphere. We tried the Mango and Smokehouse Chipotle Sausages, which were both tasty! The specialty food offerings are not as elaborate as some of the park’s past fare, but are still tasty nevertheless! The event runs for the rest of this weekend and next weekend (April 7-8). Next door, construction is progressing nicely for Railblazer. The specialty rock work around the new coaster is starting to take shape. Work on the station and queue line should start to pick up as well now that all the track is in place. The rocks making up the first drop’s tunnel were being worked on today, and look great! The pictures just don’t do the ride justice; the scale and curvature of this new creation is quite impressive. The site still has a little ways to go, but should start to feel more complete in the coming weeks as opening day gets closer! Moving on, the new Orleans Candy Kitchen shop is getting ready to open soon. Right across the road, progress on the accompanying French Quarter Funnel Cakes and Churros Factory is coming along a little slower. ...And by a little behind, I mean still dirt. Resources are likely being diverted to the park's other active construction sites, and work will hopefully pick up soon. Towards the back of the park, the upcoming Sierra Creek Lodge is in the middle of construction as well. The restaurant is replacing the previous Joe Cool Cafe in the Planet Snoopy section of the park. From up above, it looks like crews will make use of the existing structure and just perform exterior and interior improvements. Over in Hometown Square, the new Starbucks location still has a way to go until opening. Finally, I'd like to end with the park's Mass Effect: New Earth ride. The attraction is about to reach it's second birthday, but you'd never be able to tell. The park has done a fantastic job with upkeep and maintenance of this technical ride's various special effects. Many other parks have struggled to provide adequate maintenance for their dark/simulator rides as they mature, which have led to a diminished and lacking experience. 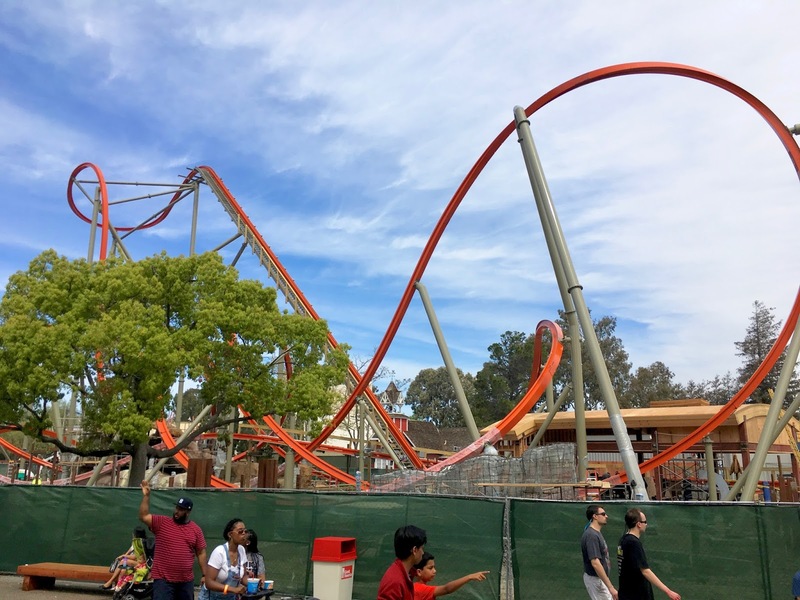 Kudos to Great America for keeping this unique ride in prime shape! That's all for now from Theme Park Overload! Special thanks to California's Great America for providing accommodations to TPO. Make sure to "Like" our Facebook Page to get Breaking News Updates and Exclusive Content delivered straight to your newsfeed! Facebook.com/ThemeParkOverload My name's Nicholous, and Thanks for Reading!